Newcastle have two games to play in the Premier League this week to end the season, and Rafa wants to get back to the way the lads were playing before we reached safety and 41 points. It turns out that Christian Atsu has had a minor operation to fix his knee problem with Ciaran Clark injured and one or two other players out with small knocks. Rafa wants to liven things up this week in training before our final two games of what has turned out to be a successful season because we met our single target – to survive in the Premier League. 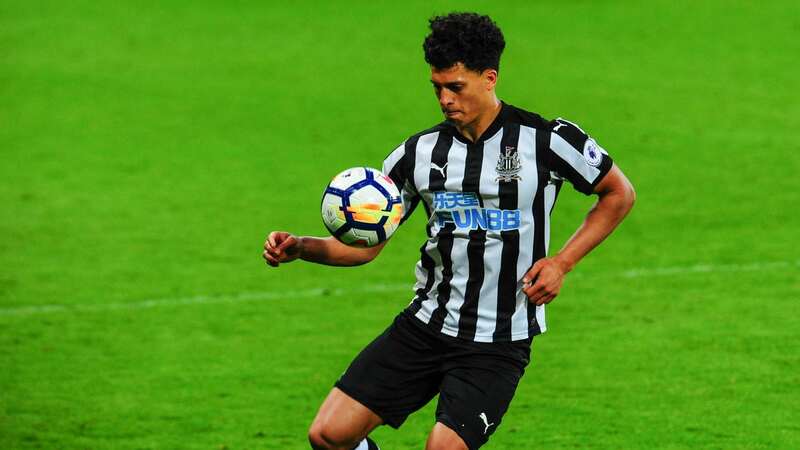 Rafa has called in youngsters Josef Yarney and Paul Woolston. Yarney is a 20-year-old Liverpudlian we signed form Everton last year, and he plays center-back. 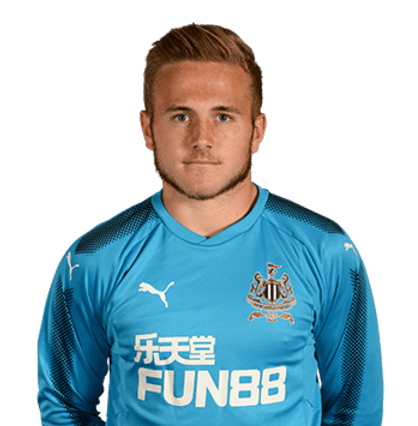 19-year-old goalkeeper Paul Woolston is from North Shields and joined Newcastle five years ago. Both have now been training with the Newcastle first team for over a week now. Rafa will make more changes to the team against Tottenham tomorrow night to freshen things up and get back to the way we were playing earlier this year. It looks like one win in the final two games could see us finish in 10th place. I cant see us turning up properly against spurs… I hope otherwise though. Might be worth giving Merino a start. Only player who i feel deserves one who hasn’t had one. I wish fans would substitute the word greedy for cockney in that ”get out of our club” chant. The guy is not a cockney and even if he were, so are Sir Les and a few others once of this parish. Why bring where you’re from in to it? Sadly Rafa, as astute as he is, didn’t win his battle against the Liverpool owners back in the day. Me too Rotonda, it’s ridiculous. in a 4 – 4 – 1 – 1 !!!!! Think onto something there, Jib. Nobody else spotted it. @Magichat – pretty sure I read Merino has been struggling with fitness for a few weeks? Hasn’t looked the same since that back injury so maybe theyre just giving him till preseason to fully recover? If im honest I can see Rafa walking… never been bothered about the West Ham links..but that leicester link is concerning.. He knows the GM there, worked with him before to success, they back managers also in transfer windows.. it can only be so long till Rafa has had enough of Ashley and the penny pinching… His stock is high now, but chances are staying here could damage him long term if he suffers another relegation which is possible next year. One worry for me that of the teams coming up, Wolves will outspend us by 3 or 4 times in the summer, similarly if its Villa or Fulham i think they will throw money at it, and if its middlesboro they have Pulis who seems unrelegatable…. Suggest you try reading, digesting and thinking about other posters’ comments before you ho wading in with both feet. You’re spot on about dropping the cockney references to Ashley. The media’ll jump on it like a ton if bricks as Geordie bias against southerners whereas ‘greedy’ sends out the message we want the world to see. Jib, Benitez has been playing 4-4-1-1 for months now, and easily the majority of the games this season have been in the 4-4-1-1 formation. I can barely remember the last time the side played 4-2-3-1, it seems like a very long time ago. This figure of 5m to buy out contract of Rafa if still in existence, ain’t going to worry the likes of West Ham or Leicester. It’s peanuts to them. If West Ham is his favoured place we could end up with David Moyes but won’t happen until the window has closed. Then when his first public announcement is made, he will say squad is not good enough as he said at Sunderland and we know what happened to them. I hope cAshley honours what he told Sky and Rafa gets every last penny the club raises. Talking of sky,why is pepe le pew in the studio commenting on matches,she bloody hopeless. and wondered if I would still be alive the next time we win the FA cup. Been lucky to go to wembley 3 times in that period,plus numerous semi finals.Plus all the Fairs cup home games. I’d settle for cAshley selling up just now. I can barely remember the last time the side played 4-2-3-1, it seems like a very long time ago. Probably the last time Manquillo and Murphy started. Do you understand my post now ? As deluded a comment as anything by Liam Fox! Hope you had a good birthday. Maybe if you changed your name to Methusela you might have a better chance of seeing a trophy brought to SJP. Have faith bonny lad…..
And to your question ‘…….why is Pepe le Pew in the studio commenting on matches?’ In these days of equality and diversity……. Hopeless or not – that’s the way it seems to be going. It seems that Mark Lawrenson’s on Rafa’s case now. He’s saying that the squad Rafa’s got available to him is not good enough to compete in the Prem. With the world of footballing expertise replying behind,Rafa, surely even Ashley must realise he’s got it totally wrong? Ffs sake, it is the silly,season….. Boris Johnson suggested Trump could be nominated for the Nobel Peace Prize, lining him up alongside Nelson Mandella, Mother Theresa, Martin Luther King…..Kissinger, Begin, Arafat. In saying that, the Peace Prize is but a political award and not worth a candle. At that rate, Ashley’s a serious contender for Owner of the Year. Why do you think Ashley would bother to travel 12 miles to watch Watford v Newcastle United ? lesh, Obama was nominated for it before he even took office (he got it too), totally political that, having said that stopping the fun on the Korea peninsula is quite something, it was the longest current war.